Google Analytics (GA) is one of the most powerful, effective and comprehensive platforms to track and analyze your site traffic and marketing efforts. But a lot of businesses find it intimidating and challenging to use. If you’re one of those businesses, this article is for you. Although GA can be quite overwhelming, getting useful data to work with is not as difficult as you think it is. Understanding how to get some basic information from the platform can give you pretty good insight into how your website is working for your business. The first thing you’ll notice when you open the platform is GA’s (somewhat confusing) layout and menu system. It uses a top navigation for account level features and information; and a side navigation for combing through your analytics data. As you can see, Audience, Acquisition, Behavior and Conversions tabs contain the actionable data you can use to optimize your site and grow your business. So let’s help you get a basic understanding of those tabs. To view your audience insights, click on Audience > Overview on the left hand menu of the analytics dashboard. As you will see from the Audience Overview data, Google Analytics gives you detailed insights into your audience: from location, to page views to device type to language and more. This information is invaluable in allowing you to tailor your site to better suit the needs of your visitors and effectively grant them an easier viewing experience. It is recommended that you spend some time understanding these definitions before you begin analyzing the comprehensive audience data. The Behavior section gives you invaluable data on how your users are interacting with your site. You can track how long an average user stays on a specific page, the hours and days you receive the most traffic, bounce rates (the percentage of visitors who exit your site after viewing only one page), your site speed, and much more detailed and useful metrics. Spend some time exploring and familiarizing yourself with this section. It contains everything you need to know to optimize your site and user experience, and also to manage your blog or content pages. The Acquisition section is pretty straightforward: it contains data on how your site acquires traffic. It records the following traffic channels: organic (search and direct), paid, referral, email and social. It also gives you important insights into the performance of your marketing campaigns. What you should really be looking at within the Acquisition section is Goals. Goals are what you hope visitors accomplish when or after using your site. They are summarized in the Overview of this section but aren’t presented or broken down in detail. That’s where the Conversions section comes in. Carefully think about how you measure the success of your business before setting up your Goals in GA. An accurate setup will enable you to more effectively analyze your website traffic data. By now you should have already discovered that Google Analytics is a great tool to track your visitors behaviour. If you are using WordPress for your site and have decided to venture into the statistics, we recommend you use our All in One SEO Pack plugin. It offers a simple way to integrate Google Analytics on your site without having to risk breaking your site or messing with code. But that’s not all it has to offer: there are also various other advanced settings such as tracking multiple domains, adding additional domains, enhanced e-commerce, tracking outbound links, excluding WordPress user roles from tracking and many more. A basic overview of those four actionable sections should ease the challenge of collecting relevant data for your business. However, getting invaluable data from Google Analytics requires work, time and patience. Stay tuned for an article that delves deeper into extracting and accurately analyzing data in Google Analytics. 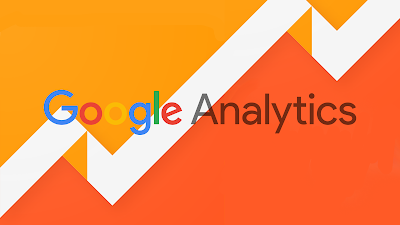 For now, you can take a look at some of the tutorials in the Google Analytics Academy. 2 Responses to "SEO: Important Sections of Google Analytics Explained"